The Cantors Assembly Annual Conference will be held this year in Spain from July 3-14. The conference will begin in Barcelona with visits to Madrid, Toledo, Cordoba, Granada, and Seville. The theme of this year’s conference is “The Sephardic Sites and Sounds of Spain” and will commemorate 1,000 years of Jewish presence in Spain. Participants will visit some of the key Jewish historical and culturally significant sites throughout Spain. Special Cantors Assembly concerts and celebrations will be held throughout the tour. Scholars-in-Residence, Professor Stephen Berk and Professor Eliezer Papo, as well as local experts, will give historical presentations to the group. Time will be devoted to visiting local Jewish communities to hear their struggles and their successes, and to discuss the implications of the Spanish government opening the door to citizenship for Jews with Spanish roots. Participants in the 2016 Cantors Assembly conference will enjoy the following events. Walk in the steps of the ancient synagogue in Barcelona. Tour the world famous Museo del Prado Museum in Madrid. Enjoy a city tour of Madrid, visiting the beautiful Retiro Park, Centre de Arte’ Reina Sophia, and Royal Palace. Visit the former Jewish center of Girona and home of the famous Ramban (Nachmonides). Visit medieval towns of Banyoles and Besalu. Experience a special Ladino program at Casa De Sefarad in Cordoba. Tour the Alhambra Palace, where the expulsion decree was signed in 1492. Discover the works of Gaudi, including the massive Segrada Familia and Guell Park in Granada. Visit the Moorish Alcazar Palace and the Old Jewish Quarter in Seville. A variety of cantorial schools offer degrees for people preparing for a career in the cantorate. Rent or purchase a secure Pocket Wi-Fi Hotspot with a low-cost data bundle. The Hotspot supports up to five smart devices and works great in Spain, as well as 150 other countries. 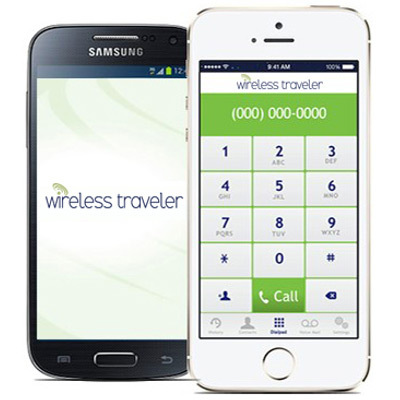 Download the Wireless Traveler Wi-Fi Calling App from iTunes or Google Play. Once you have set up your account, you can call app to app for free and to other smartphones or landlines for as low as two cents per minute. Special Conference Rates! Contact our support team (1-866-700-3883) or via email at support@wirelesstraveler.com for information about special Cantors Assembly conference rates for all participants!